This is the year we're supposed to be clawing our way out of recession, and this edition of the annual High End event, which is sponsored by Germany's High End Society, provided some evidence of that. As I reported in May (p.15), British hi-fi sales might well be straggling right now, both to attract new and younger consumers and customers at the higher end; the situation seems similar throughout the rest of Europe and in the US. But the High End show was busier than ever--it was clear that there's plenty of enthusiasm about high-end audio in many parts of the world, especially across the Far East. According to the High End Society, the number of exhibitors in 2014 increased by 25% over 2013 (452, up from 363). This was confirmed by my inability to see the entire show in the two days I'd allotted to it. (Another factor was that this year I attended several press conferences, which can waste a lot of time.) I don't yet have the attendance figures, but the trade-only day seemed substantially busier than in years past, and there was no shortage of visitors on Friday, the first day the show was open to the public. I suspect that there were many more visitors from the Far East than in 2013, partly due to economics. But their greater presence also reflects the success of the Munich show, which must now be regarded as the world's leading hi-fi event--not simply for allowing brands to demonstrate their wares, but also by becoming the meeting place where the industry's movers and shakers make their plans for the next year. Hi-fi is undergoing rapid change. The hot products now are music streamers, digital-to-analog converters, headphones, and soundbars, while sales of CD players seem to be in terminal decline. However, the other traditional hi-fi component categories (preamplifier, power amp, loudspeaker) seem to be holding up pretty well, especially at the high end. One innovation at this year's High End was the inclusion of several cars with serious built-in hi-fi systems. Dieter Burmester, of Burmester Audiosysteme, made the point that, these days, a commute by car is a key opportunity for listening to music. 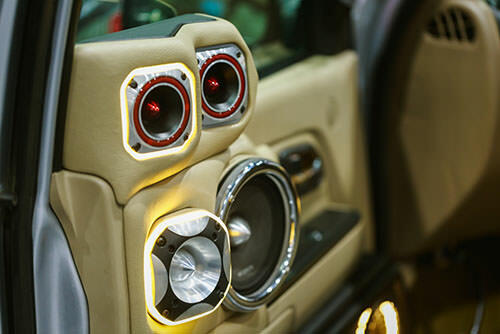 Furthermore, best car speakers, best car audio speakers has undergone considerable evolution over the years. 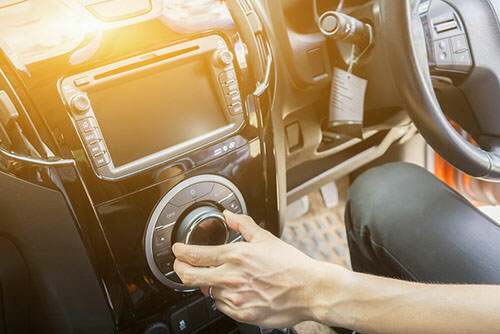 When car makers first began integrating audio systems into dashboards (to avoid theft), they used cheap'n'nasty equipment. They now realize that working with a specialist audio company can create optional audio packages that increase profitability. Burmester's first foray into the field was a decade ago, with the Bugatti Veyron; now they're working with Porsche and Mercedes, which means much larger volumes of sales. Burmester dragged me right across the show, to hear the system his company had installed in an S-Class Mercedes 500. Designed to be integrated into the vehicle at a very early stage in the car's development, its 24 speakers and amplifiers (totaling 1500W) plus DSP can reproduce full surround-sound as well as two-channel recordings. Tests were carried out to establish the car's sonic signature at various speeds, so that the system could be equalized to achieve a consistent dynamic range. The experience was well worth the journey through the crowded exhibition center. Although audio equipment for the home still dominates Burmester's sales, their auto-sound division is rapidly growing and could soon be their main earner. Dieter Burmester also pointed out that familiarity with superior auto sound might then stimulate sales of high-quality home gear. Back among home hi-fi, three rooms reminded me of the sonic advantages and domestic disadvantages of very large horn speakers. I sneaked into Magico's rather small and very crowded room to find a pair of their enormous Ultimate horn systems. I couldn't find a seat and so didn't stay long, but the memory of the lovely sound fingers--I felt privileged to have had heard the Ultimates. Art Dudley has detailed the splendid vintage Western Electric horns shipped to the show from South Korea by Silbatone, so here I'll just add the exceedingly heavy Cessaro Horn Acoustics' Liszt I four-way horns, mostly driven by substantial Tron Electric tube electronics, the combination sounding refreshingly dynamic yet remarkably sweet and civilized. Tron also showed a new and very compact stereo power amplifier, the Atlantic. Rated at 9-10Wpc, it's made in the UK, uses single-ended 300B tubes and C-core transformers, and sells for 6500 [pounds sterling] ($9700). Full-range stereo horn systems might sound lovely, but they're too bulky for most people; it was good to find some smaller, direct-radiator systems that were also capable of making good music. I particularly enjoyed a relatively understated system from Gryphon: their solid-state Pandora preamplifier and Mephisto class-A power amp driving a pair of phase-correct Pantheon speakers from a variety of sources--all of which emphasized the importance of using only the very best ingredients. Tube electronics were used to drive some notably compart Kaiser Acoustics speakers in a couple of rooms. Engstrom & Engstrom managed to finish its new Monica preamp in time for the show, and its demo featured a new Type 2 version of the excellent and beautiful Lars monoblock power amp, which delivers significantly higher power than the Type 1 by using Emission Labs' XLS version of the 300B output tube. KEF is making full use of the 5" Uni-Q coincident tweeter-midrange it originally developed for its Blade flagship model. The full-range variation used in the LS50 has been a significant success, and 2014 sees this driver concept applied to an upgrade of the Muon, to the Blade Two, and to four of KEF's five new--and arguably well overdue--Reference models. Those sharp-edged Reference models look very smart, the three designed for two-channel listening having one, two, or four bass units. The original Blade proved a little bass-heavy in my room, so I very much look forward to the Blade Two, which looks just like the original but has four 6.5" rather than 9" force-canceling bass drivers in a somewhat smaller enclosure--for a significantly lower price. A major investment in tooling means that both of the curvaceous-looking Blades now have reaction injection-molded enclosures made of plastic rather than fiberglass, which has made possible considerably more complex internal stiffening as well as far more consistency. Not all big speakers are hornloaded, I realized, as my ears recovered from Jeff Beck played loudly through Naim's Statement amps and Focal's Grande Utopia speakers. The two brands are now owned by the Vervent Audio Group, and seem to be adapting well to the modern world. For example, soundbars that sit below large, flat video displays have become an increasingly important way of listening to music and video in many markets. Focal has therefore developed the Dimension, whose substantial metal case encloses five drivers driven by class-D amps, a Share DSP chip to supply phase-based surround effects, and wireless connectivity; a separate, optional subwoofer is available. Naim is aiming their compact Muso wireless stereo music system at the mainstream. Built into a solid case measuring 24.5" wide by 4.7" high by 10" deep and weighing 28.7 lbs, the Muso has flexible connectivity, can drive six speakers with 450W of digital amplification and DSP, and will be launched in September at a price of 895 [pounds sterling] ($1350) in the UK. Equally affordable but no less radical, Cambridge Audio's Aero speaker models are now joined by the Aeromax fine. These use an improved balanced modal radiator (BMR) driver to cover the entire audioband above 180Hz. The new BMR features an anisotropic diaphragm (per my dictionary, anisotropic describes something "exhibiting properties with different values when measured in different directions") that has symmetrical bending modes to smooth the treble response; the enclosure bracing, too, is improved. Cambridge also has a new top line of amplification products in the Azur 851 Series: a power amp and two preamps, one digital, one analog. MiZiK is a Spanish brand related to Wadax. MiZik's products might cost more than Pro-Jects, but they're significantly more elaborate and stylish--and innovative in how they manipulate digital data to enhance performance. The three preamp modules are also considerably less expensive than Wadax's Pre One, which impressed Michael Fremer in his February 2012 "Analog Corner" column and introduced some of the concepts that underpin this new brand. Hungarian brand Fleed Audio's four new compact Thesis components look very like more sophisticated versions of the very first Naim models--nostalgic but effective. The circuit design, by Zsolt Huszti, is claimed to be very unconventional, and the four items are identified by letters of the Greek alphabet: the Alpha analog/digital preamp, the Phi phono stage, the Pi outboard power supply, and the Omega mono power amp. It's hard to beat a passive "preamp" for analog transparency at a modest price, and The Bespoke Audio Company looks like a very worthwhile newcomer to the ranks. Founded by people who used to work for Music First, the transformer used here as the volume control has no fewer than 46 discrete steps of 1.5dB, and Bespoke--as its name suggests--is happy to tailor a unit to the customer's requirements. I was told that remote control of volume was standard, and that input switching was also available. No brief report of a show that boasted more than 400 exhibitors can do more than cherrypick a few highlights. However, the news from Munich seems to be that hi-fi in Europe is in pretty good health, and that we may indeed be getting over the recession that began six years ago. baymax has not enetered any profile details yet.